Going into the Beijing games the lgbt media again attempted to list the lgbt Olympians competing in 2008. Their highest estimate was 11, but with some athletes coming out since then the list can now be recorded as 24, of which 13 were making their Olympic debut. This time around women’s football tops the lgbt athlete list with 7 players. For the 3rd Olympics in a row Germany won the bronze medal. In the team were Linda Bresonik and Nadine Angerer. Nadine missed out on a medal in the previous 2 Olympics because she was the substitute goalkeeper and didn’t actually play in the bronze medal match. But this time she was head goalkeeper and at last received her bronze medal. Unfortunately, Ursula Holl, her substitute, thereby missed out on a bronze. One player with football in her blood was Isabell Herlovsen, a striker on the Norwegian team. Her father is Olympian and former Norwegian international Kia Erik Herlovsen. The gold medal was won by the USA. They were coached by Pia Sundhage who had played for Sweden in the 1996 Atlanta games. On the Swedish team in Beijing was Jessica Lindström. Perhaps the most unusual record of any lgbt Olympian has to be held by American football forward Natasha Kai - the record for the most tattoos – over 55 in all! Handball had 3 lesbian players. In the gold medal-winning Norwegian team were Katja Nyberg and team captain Gro Hammerseng. The pair had been living and working openly as a couple for 3 years and had sought to play for clubs in which they could play alongside each other. Gro had the honour of carrying her national flag in the closing ceremony. Katja was actually Finnish by birth and she became a Norwegian citizen in 2001. The couple have since split up, though they continued to play on the same club until 2011 when Gro retired to have a child. Alexandra Labracére played handball for France, losing in a first round match to Norway but reached the quarter-finals, where they lost to Russia. Lee Pearson returned to defend his 3 paralympic equestrian gold medals for Team GB. 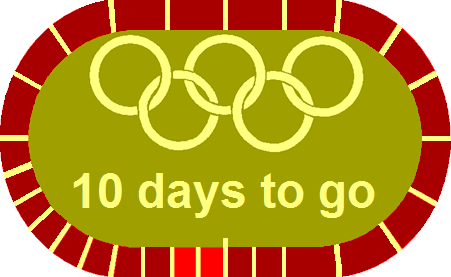 On 11th September 2008 he became the greatest lgbt Olympian when his total gold medal tally reached 9. Who knows – will he make it 12 in 2012? In the main equestrian arena Hans Peter Minderhoud won a silver medal. The New Zealand couple of Blyth Tait and Paul O’Brien did not compete, but Blyth was the equestrian team manager for the Kiwis in Beijing, and Paul was an Olympic selector. Winning a gold medal in women’s hockey was Marilyn Agliotti, She returned after an absence of 8 years to play for the Netherlands after playing for her native South Africa in 2000. In the diving pool were the 2 Australian Matthews – Helm and Mitcham. Mathew Helm was making his 3rd Olympic appearance. He had won a silver and bronze at the 2004 Olympics and 2 golds in the Commonwealth Games in 2006. He was tipped for 2 golds in Beijing. However, rising superstar Matthew Mitcham, who had come 4th in the Commonwealth Games, exceeded most people’s expectations by beating Helm to the gold in the platform competition. Disappointingly, Helm missed any medal. The remaining medals from Beijing went to Lauren Lappin and Vicky Galindo who won silver with the American softball team. Vicky’s involvement in the Olympics actually goes back to 1996 when, at the age of 12, she took part in the torch relay for the Atlanta games. 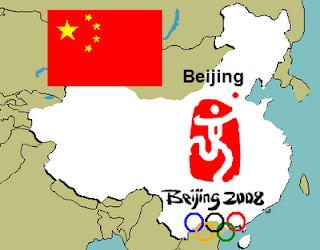 Of the remaining lgbt athletes in Beijing 4 were making their 4th appearance: “veteran” German cyclist Judith Arndt, Australian beach volleyball player Natalie Cook, Brazilian judoka Edinanci da Silva and Australian tennis player Rennae Stubbs. A tennis player making her only Olympic appearance was Israel’s Tzipora Obziler. German fencer Imke Duplitzer made her 3rd Olympic appearance. She refused to attend the opening ceremony saying that she didn’t want to be part of the “circus” of a Chinese propaganda spectacle. Canadian swimmer Anne Polinario was also making her 3rd appearance, coached by her father, gay Olympian Rafael Polinario. Anne defended her Paralympic 50m gold medal. To finish on a golden note, the US women’s basketball with Seimone Augustus became Olympic champions.